This was Sale FC’s 4th game game in National League 1 with a tough trip over the Pennines to Rotherham Titans. From the restart kicking off with the breeze and out of the sun the Titans managed to recover the ball and won a penalty with Alex Dolly brother of Nic Dolly kicking the points. The restart lead to a period of pressure which saw two converted tries with a huge amount of pressure applied down the hill into the corner. Although Sale lost their first line out, they managed to return to their normal service of disrupting the opposition lineout. One of those disruptions lead to some quick play through the backs, but, the referee , spotted a forward pass. From the resulting scrum, Titans put Sale under pressure as first Titans centre Barker , then winger Cooke were driven toward the Sale line. This pressure lead to their Prop scoring and taking them into the lead for the first time, Alex Dolly who rarely put a foot wrong during the game converted. With the breeze at their backs , Rotherham Titans continued to attack, play finally stopping for a Titans scrum .The scrum was untidy and referee Boscawen awarded a free kick to Titans; who hoping to take advantage of their dominance, opted to scrum again, although unsuccessful this time, after 37 minutes, with more pressure on the Sale line with stop-start mauls, Titans were making slow progress to the line, but this eventually lead to a penalty to Titans who again opted for a scrum. Breaking from the base, the impressive Number 8 Nagle-Taylor found second row forward Preston-Routledge who scored. The try was converted by full back Dolly . Sale were starting to struggle and this looked like being a long day with half time approaching, The Sale scrum was under pressure yet again from the solid Titans pack. Although Sale managed to deal with most of the pressure, Tom Ailes was injured at the base of a scrum and although wanting to continue was replaced with Dan Birchall. This shuffled the pack around with “multi-tasker” Adam Aigbokhae moving from prop to flanker and Captain Andy Hughes moving from flanker to 8. When the match restarted by a Titans scrum, they passed back into their 22 and cleared directly into touch for an unusual mistake from their backline. 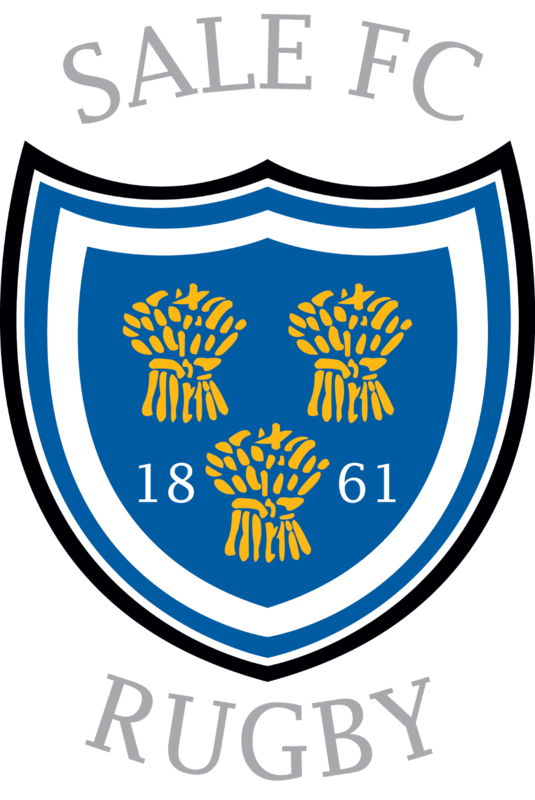 From the resulting lineout, Sale drove to the line, substitute Dan Birchall powered over to score in the final minute of the half with a Johnson conversion. The second half got underway with Sale’s kick off returned deep into their territory and the early exchanges followed the pattern of the first half with an opening salvo of high, long kicks.Their first meaningful break came when winger Paulo Odogwu ran at the opposition, only for Sale to be penalised from the ensuing ruck. On 45 minutes Sale were awarded a penalty just inside their half, Chris Johnson’s ambitious attempt was unsuccessful. Following the restart, Titans kicked through towards the Sale line and, with momentum in their favour , recovered the ball ,finding captain Nagle –Taylor who scored. Sale were quickly back into the fray following the restart , a lineout on the Titans 22 metre line resulting in a disciplined maul , leading to a try by Adam Aigbokhae, converted by Chris Johnson. On 55 minutes a break by the rampaging Postlethwaite took Sale deep into opposition territory,winning a penalty. Chris Johnson’s successful kick narrowing the gap to 2 points. On 65 minutes a Sale clearance was collected comfortably then inexplicably kicked backwards over Titans dead ball line ! Result ….scrum on Titans 5 metre line from which Sale captain Andy Hughes picked up and powered over the line giving Sale the lead. Chris Johnson having left the field, kicking duty was taken by Matt Bradley who calmly converted. In the final 10 minutes Sale absorbed Titans pressure and were unlucky not to receive a penalty when Odogwo was the recipient of a tackle which could easily have been judged “high”. From a scrum inside their 22 , Sale attempted to pass the ball across the backs , Titans substitute Abrahams reached for an interception which he managed to hold on to, scoring under the posts ,converted by Dolly.